Whatever the size of the garden, its success always flows from the client’s enthusiasm and their trust in the design process. 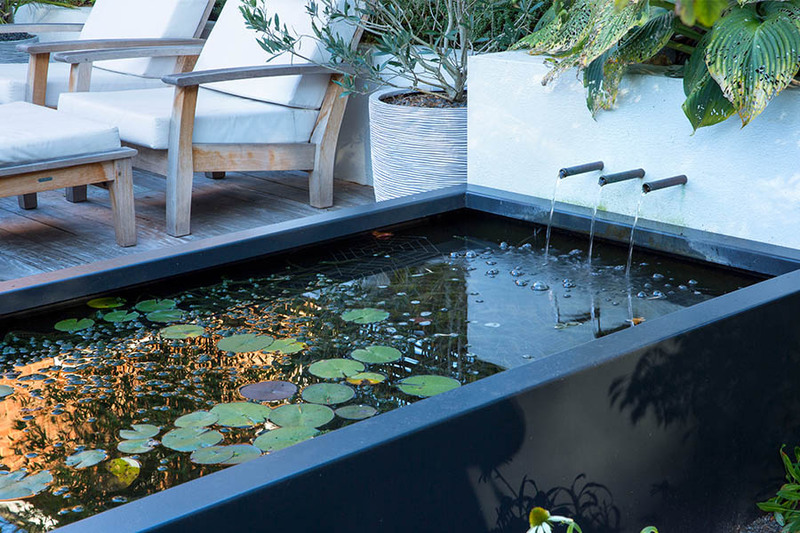 From this comes a garden with the right mood and function, one that blends seamlessly with the client’s lifestyle. First we meet so that I can introduce myself, show you examples of my work and get an understanding of your site and requirements. At this meeting, I will also advise on the garden’s potential and limitations and will then follow up with a design brief and fee quotation. A consultation visit can, however, cover more specific topics — for example, planting ideas or advice on landscape material selection, rather than a full redesign service. There is a fee for the initial meeting and a fixed fee for the initial preparation of an outline design and survey if required. Fees for a full design service, seeing the scheme to completion, are calculated on a percentage of the total construction cost based on between 10%–15%, or an hourly rate as appropriate. The first stage of any garden design project is the site survey. With smaller sites, I usually do this myself, while larger or more complex sites may need the services of a professional surveyor. However, there may already be a detailed site survey in place for some projects — new builds, for example — and if you have one, I can work with that as long as it’s accurate. The survey and design brief are brought together in the outline plan which represents my proposal for your garden. 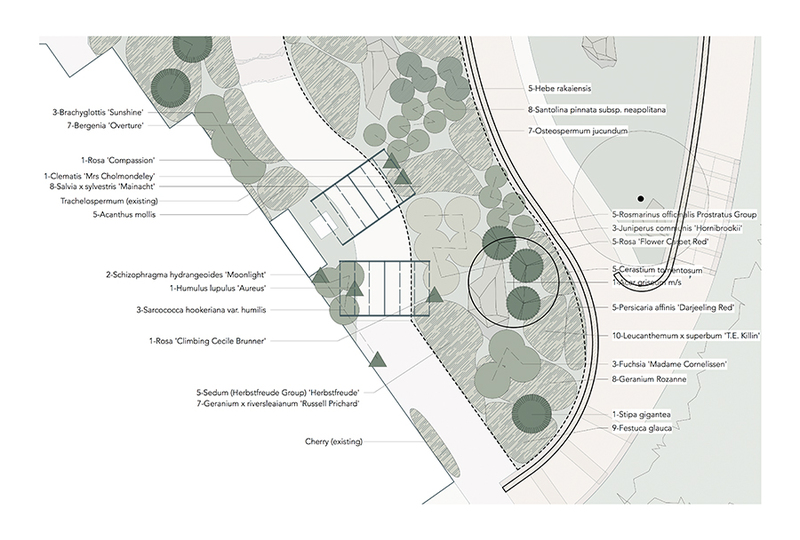 It shows the garden’s layout, all materials proposed, planting areas and types together with features such as pergolas, gazebos, water features, and other decorative elements as required. It is accompanied by supporting visuals. For your garden to be accurately priced and built by a contractor, I create a layout plan, which includes further design detail. I’ll add information about water features, hard surfaces, timber structures, and other any elements that need building, as well as the dimensions and indications of major structural planting. To enable the contractor to price and build a feature — for example, a pergola, water garden, entrance gateways, or walling — construction details will be needed. 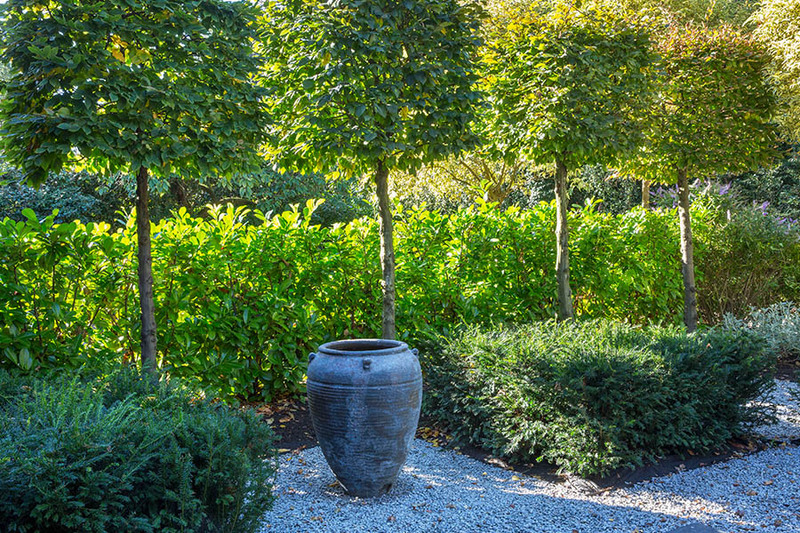 One of the most important parts of the design detail for your garden is the planting. With larger schemes, it may be necessary to create an outline presentation of the planting proposals but generally we will agree the plan following discussions on style, maintenance and site environment. Once all these elements have been brought together, the design elements of the project can be fully costed, and once we have agreed a price we can move to the next stage — Building Your Garden.